When was the last time you had a Gyro? How ‘bout tonight? 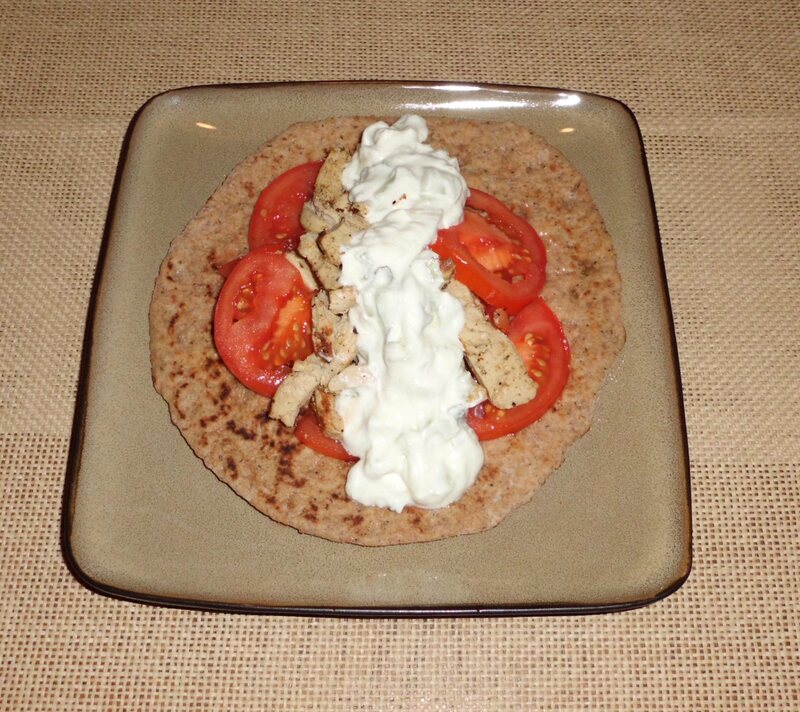 All that lovely, creamy Tzadziki sauce….. mmmmmm……. Peel cucumber and cut in half the long way, then in half the short way. Scoop out seeds. Chop. Mix into yogurt. Add chopped mint, some garlic powder, and salt. Mix thoroughly and taste. The flavors will become stronger as they develop, so don’t add too much too early. Add more seasoning if you really think it needs it, but its better to add later on. Put in fridge. As chicken browns, add cumin, oregano, salt. (Check package to see if chicken has already been seasoned.) Taste as you go, and add seasonings according to your taste. Warm bread, either over stove or in microwave and place on plate. 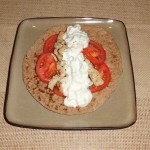 Add chicken, sliced tomato, onion, and top with Tzadziki sauce. Fold, and enjoy. Have lots of napkins on hand!